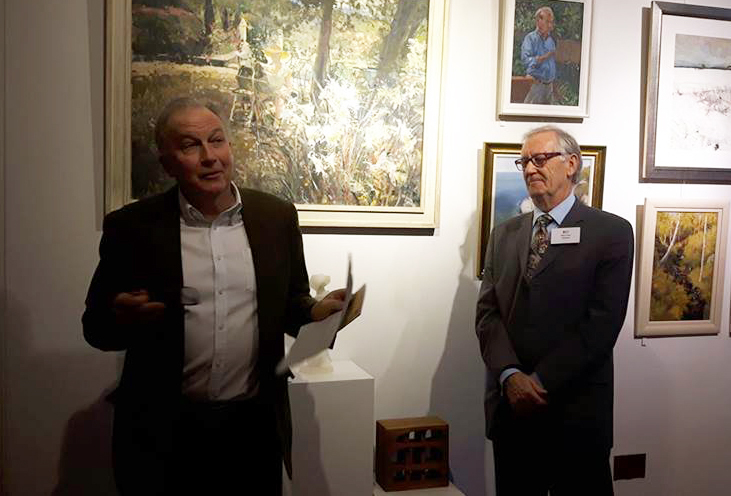 The members exhibition this year was opened by Professor Christopher Brown, CBE, now Director Emeritus (of the Ashmolean). 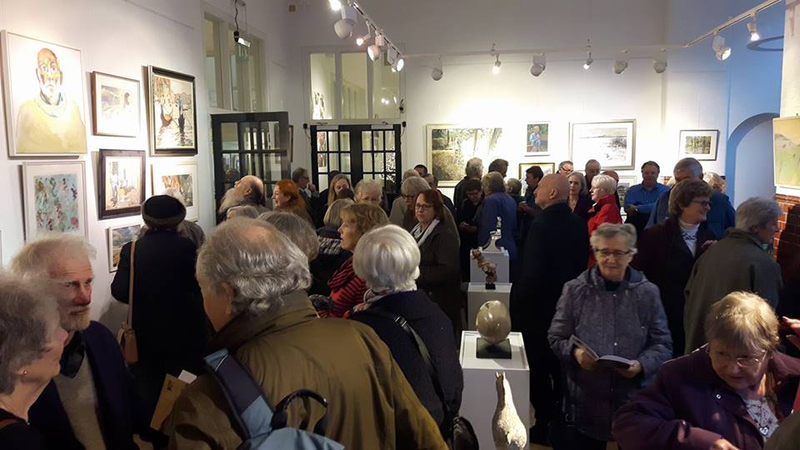 The private view at the Town Hall in Oxford was a great success and as you can see from the photo below we had a crowded house! You still have time to catch the exhibition as it runs until Sunday 26th of February. 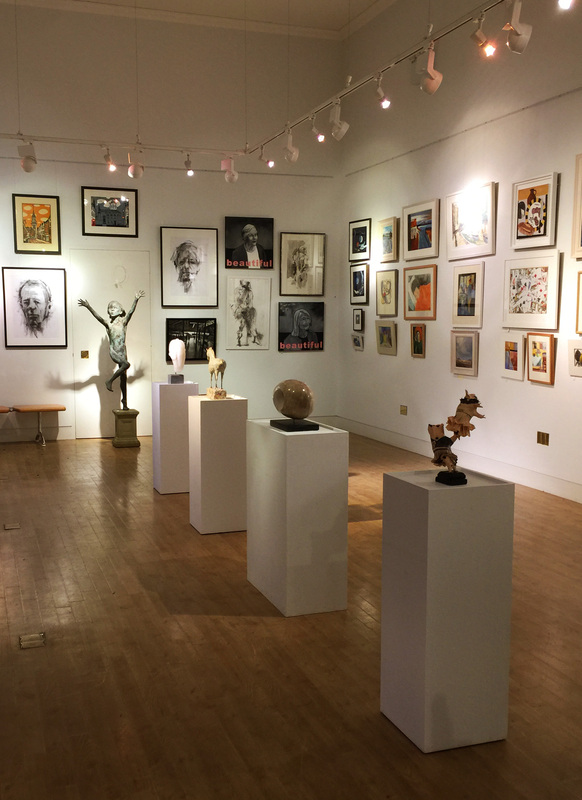 The Town Hall is also hosting the Oxford International Art Fair on the 24th 25th and 26th. 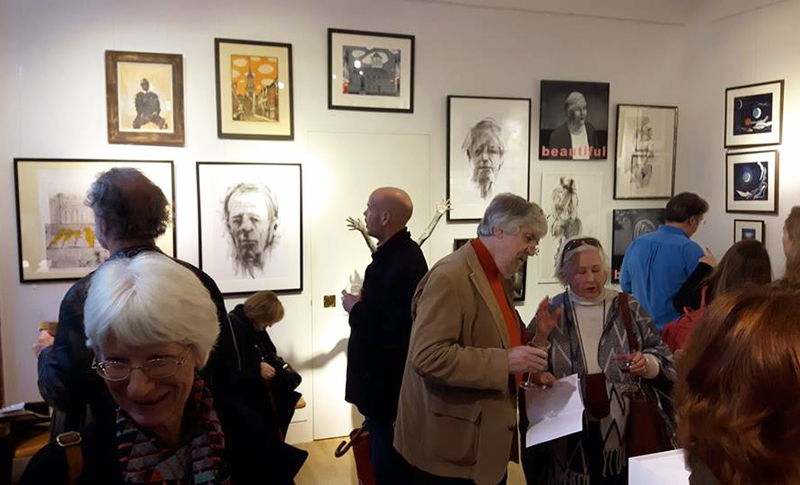 If you make it for the final weekend you’ll be able to enjoy some fabulous works of art provided artists local to oxford and artists from further afield. 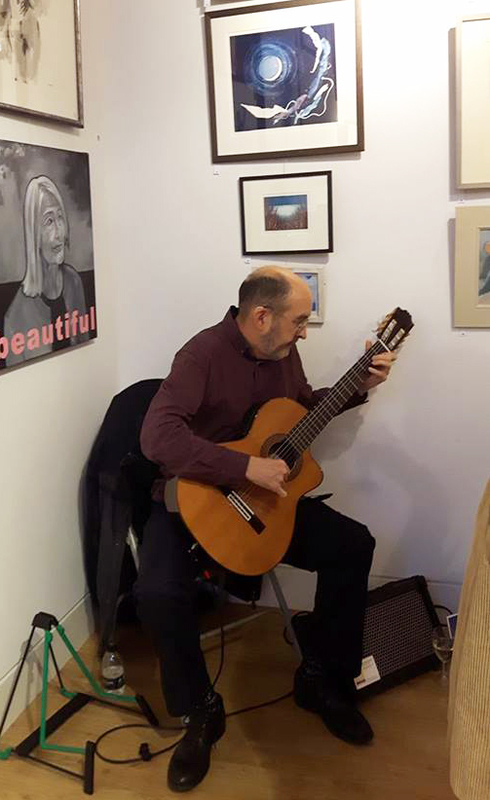 OAS member and painter John Somerscales entertaining the crowds at the private view. 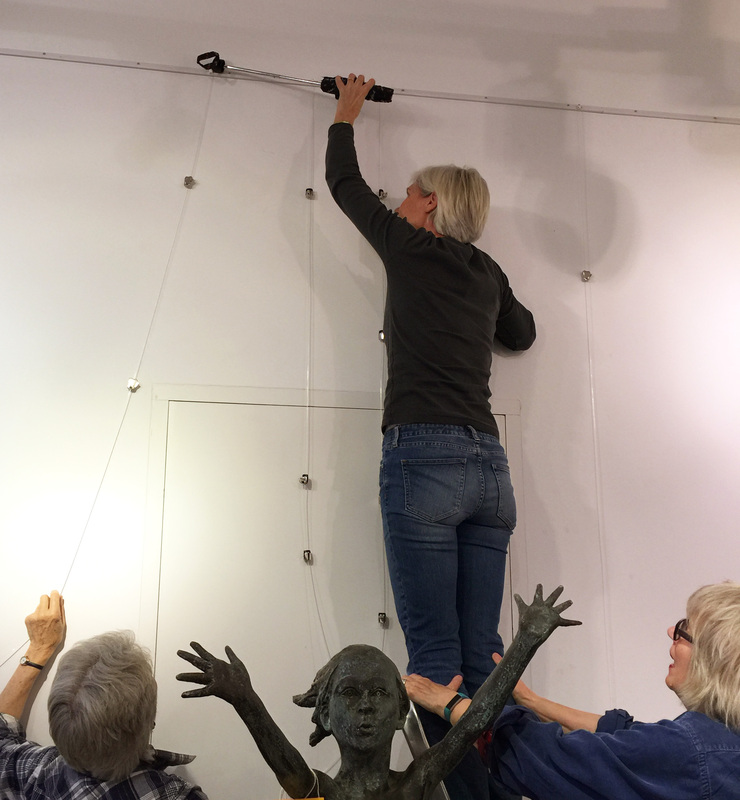 Behind the scenes – the hanging committee at work!